I have been so busy, and only been able to post twice a week, eek! Well hopefully this week will be a little better. I am working from home this week because the kids are on Fall Break. So, this means no getting up early to get ready, and no driving times, and less employee distractions. Ahh, now I just get to listen to my kids fight, yay! Anyway, I wanted to post an appetizer. It can be dinner too, but these are great for the soon approaching Holiday gatherings. I am also going to to do a post on Holiday party appetizers, or as the french would say hors d'oeuvres. In our house we say " whore dee veers, lol. Did I say that? Okay onto the sliders. I love making these! 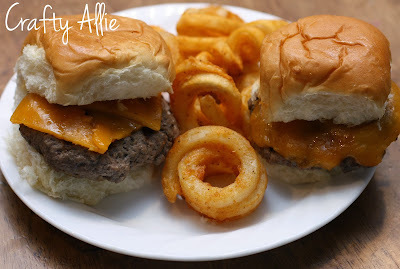 You will need about 1 1/2 pound of ground beef, maybe more if you want more sliders. A package of Hawaiian Rolls and some Chedder Cheese Slices. Shape the ground beef into small round patties about palm size. Ok, larger if you have small palms. its super fast and less mess, but you can also cook them in a pan. it probably needs to cook a little longer. Unless you like bloody burgers. Fold the slices into fours, and place two pieces onto each burger. 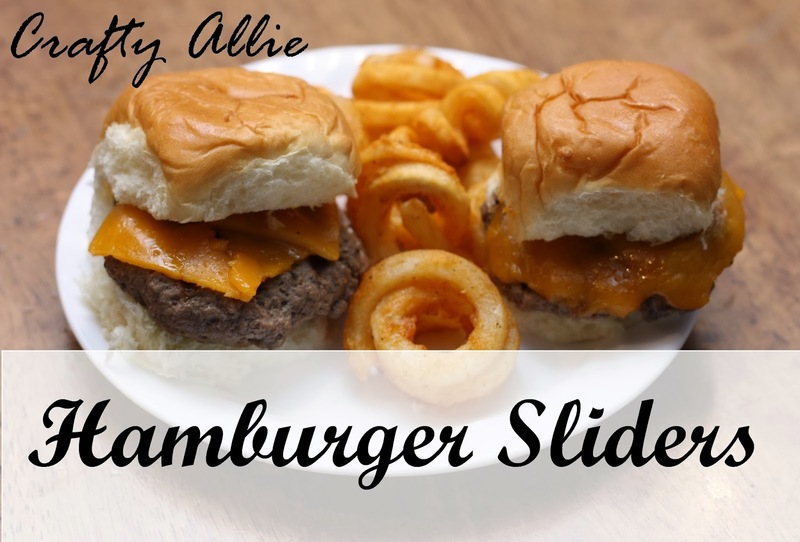 Put the pieces onto the sliders right after they come off the grill. Then place each one into s Hawaiian Roll. If you haven't had one of these before, you'll love it. They have a wonderful sweet taste, and they are so soft. These are the perfect size for these sliders. We ate these for Dinner, so naturally some curly fries go great with them. If you like burgers, you'll love these. I like to add a little mayo, or when I'm dieting a little bit of fat free hone mustard. Um, so good! This looks very yummy, and am going to try it maybe this weekend. I am coming to your blog for the first time from the craft party link, and love your blog, so am following in all ways I can. Thanks Anne! So glad you stopped by and even better that your following! Have a wonderful week!